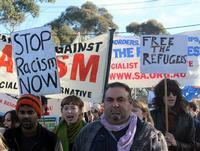 Did you know that the United Nations has declared June 20 to be World Refugee Day? There are all kinds of reasons that someone might leave their country – new job opportunities, warfare in their home country, maybe even natural disasters like earthquakes or hurricane damage. It can’t be easy to leave a place you know and come to a whole new place that you know very little about, especially if you are escaping from something really bad like war or natural disaster or any kind of violence. Every person has a right to be safe. To encourage empathy with what is a difficult, even traumatic experience, I’d like to share some favorite recent books that I think really bring the refugee experience to life. In this amazing graphic novel, Caldecott Honor Medalist Thi Bui (she won this prestigious award for illustrating A Different Pond) describes the experiences of her family as they navigate an ever worsening experience in Vietnam and eventually make it to the United States. It’s a tear jerker and so well done – but definitely for the 15 years old and up set. For anyone who has read some of Ruta Sepetys’ other award winning books, you know she knows how to tell a great story. Well, in Salt to the Sea, she gives us the stories of four very different people fleeing Europe as World War II is ending. Based on the true story of the Wilhelm Gustloff, bring your tissues and be prepared. Although separated by continents and decades, Josef, a Jewish boy livng in 1930s Nazi Germany; Isabel, a Cuban girl trying to escape the riots and unrest plaguing her country in 1994; and Mahmoud, a Syrian boy in 2015 whose homeland is torn apart by violence and destruction, embark on harrowing journeys in search of refuge, discovering shocking connections that tie their stories together. You’ll have empathy coming out of your ears by the end of this book! Perfect for the 10 to 14-year-old middle graders in your life. When unrest hits the streets of Havana, Cuba, Julian's parents must make the heartbreaking decision to send him and his two brothers away to Miami via the Pedro Pan operation. But when the boys get to Miami, they are thrust into a world where bullies seem to run rampant and it's not always clear how best to protect themselves. In this Pura Belpre award-winning book, the author describes his own experiences fleeing his home country for a better life. More tissues? More tissues. The Free Library has many books to inspire empathy and bring to life the experiences of refugees in many time periods and from many backgrounds. If you are interested in books for children – check out these titles. 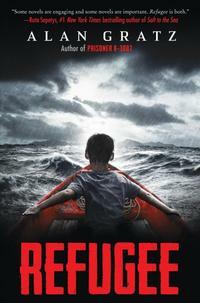 Or, for the teen in your life, check out some of our YA titles about refugees.